Ronald Adler is president and CEO of Laurdan Associates, Inc., a veteran-owned, human resource management consulting firm. 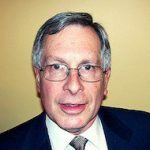 Mr. Adler has more than 42 years of HR consulting experience working with U.S. and international firms, small businesses and non-profits, printers, insurance companies and brokers, and employer organizations. Mr. Adler is the developer the Employment-Labor Law Audit™ (ELLA®), a leading HR auditing and employment practices liability risk assessment tool. Mr. Adler is an adjunct professor at Villanova University’s Graduate Program in Human Resources Development. He has a B.S. degree in finance from the University of Maryland and an M.B.A. from Southern Illinois University.